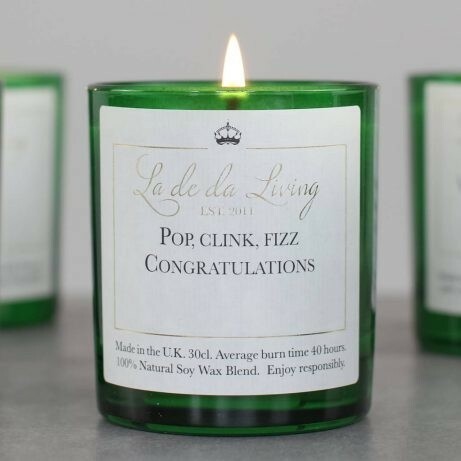 A luxury fragrance candle labelled with ‘'Pop, Clink, Fizz…Congraultaions"
Created to brighten any home! Average burn time 40 hours. Handpoured in the UK by La De Dah Living.